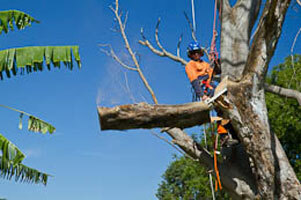 Sydney Tree Removals offers dead tree removal and emergency tree removal in the Thornleigh. Since dead trees and emergency situations often do not require local council permits to remove we can remove the dangerous tree without having to wait for a council tree removal permit. We also offer a wide range of other tree removal services in the Thornleigh such as tree stump grinding, powerline clearance pine & palm tree removal and tree maintenance. 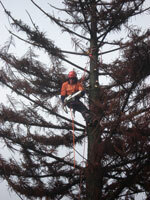 Our Thornleigh tree removal costs are competitive. Not all tree removal companies in the Thornleigh are the same. You can have a tree lopper, or you can have a professional arborist. Tree loppers will remove or prune your tree, but they aren't training or qualified and could end up hurting themselves or damaging your property. A professional arborist on the other hand takes great care and pride in their work, ensures it is carried out safely, conforming to Australian Standards, to the industry's best practices set out by Work Cover. Did you know that you may not require a council permit in Thornleigh for dead tree removal? Or for emergency tree removal? Or for pruning up to 10% of the tree? 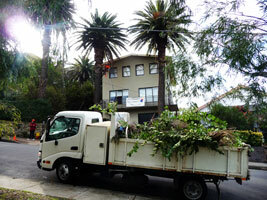 If you require fast tree removal service in the Thornleigh area- Sydney Tree Removals can do it. When we remove trees in Thornleigh we also encourage the customer to choose to remove the tree stump as well. The tree stump removal cost is relatively inexpensive. It takes a long time stumps to rot naturally or to be removed by hand. Some Thornleigh customers elect to use a chemical stump remover to speed up decay if they don't want to use our stump grinding service.